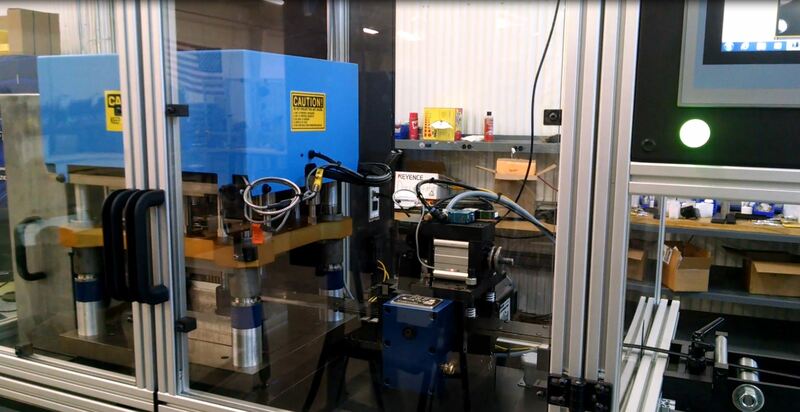 When manufacturers demand faster production rates and precise product flow, ESE is there to design high-speed automation systems. 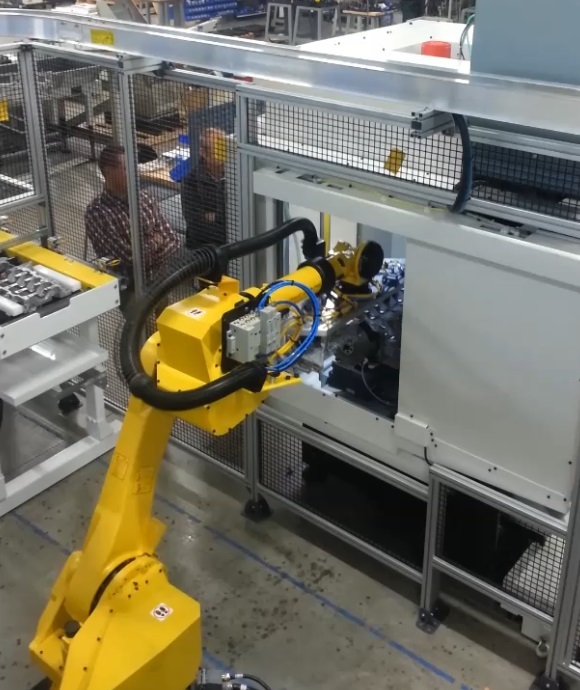 Our range of automation capabilities extend from robot end-of-arm tooling designs to turn-key robot cells with feeding systems. 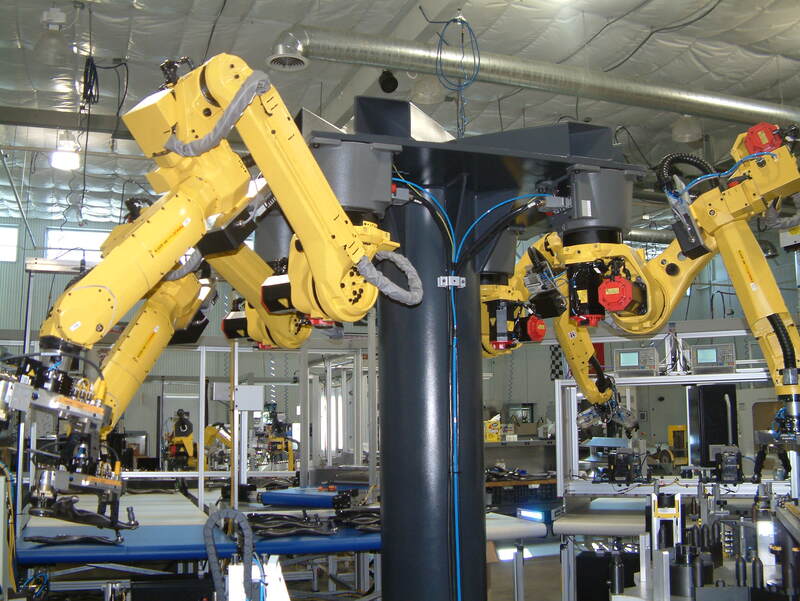 ESE is a Fanuc Robotics Authorized System Integrator who can incorporate robust robotic part handling into your production line. 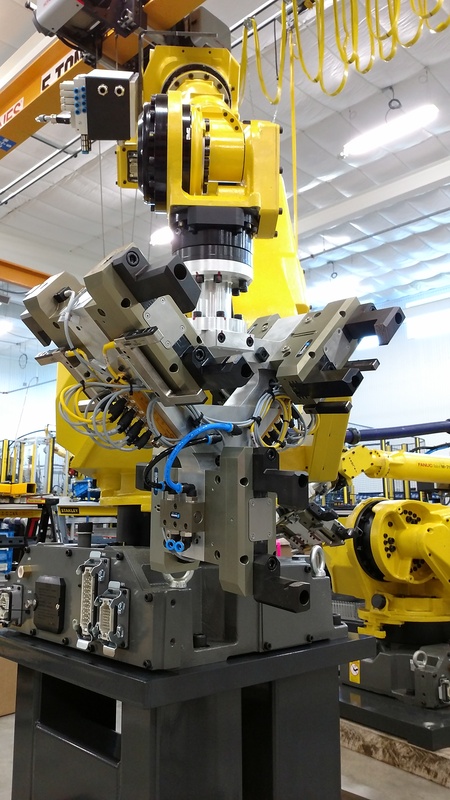 ESE designs and builds robot end-of-arm tooling that can handle difficult workpiece shapes and load them into tight machining fixtures. We perform simulations on the robot model to minimize payloads on the robot axes enabling faster workpiece transfer speeds. 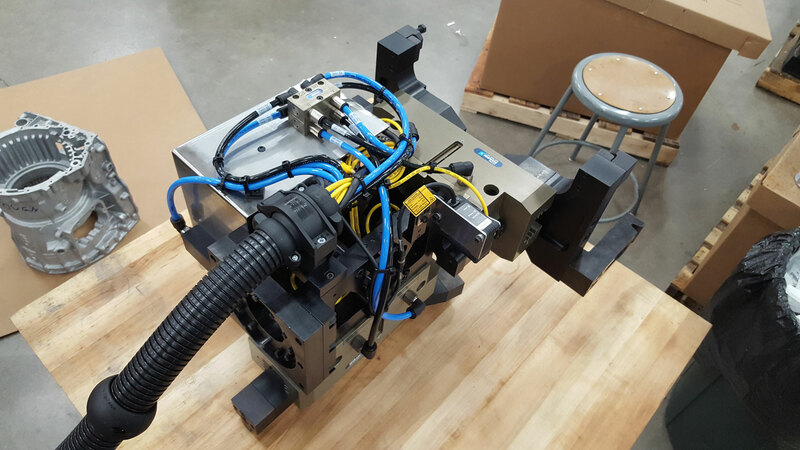 To guarantee compatibility with the end-of-arm tooling, ESE can also design the matching workholding fixture for the manufacturer’s machining center. Learn more about our workholding fixtures here. 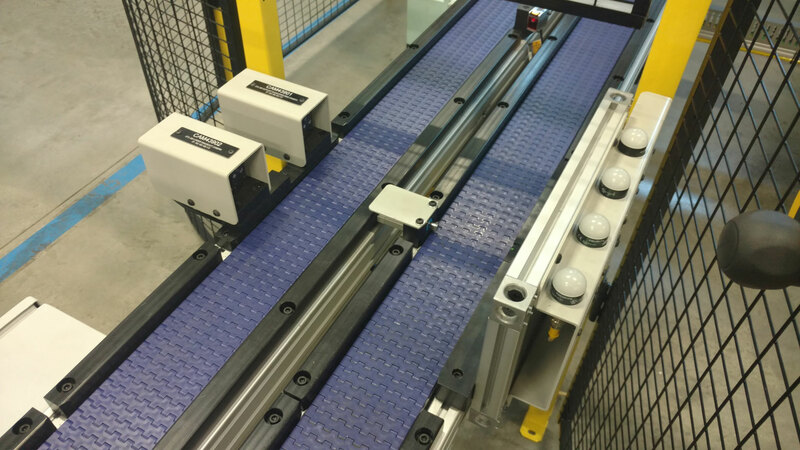 We can integrate several part handling systems including: conveyors, pneumatic transfers, vibratory feeders, step feeders, random orientation vision picking, and dial tables. 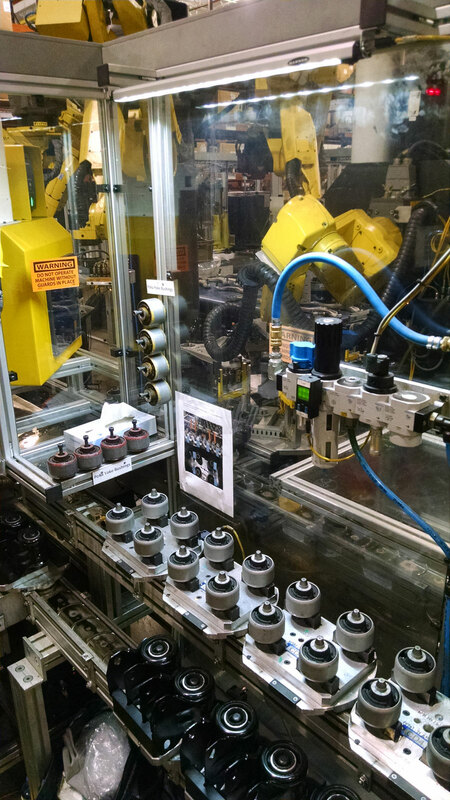 Several of our machines use belt conveyors to outfeed finished workpieces back to operators, or infeed raw workpieces at random orientations for a robot to pick. Applications that require processing multiple workpiece variants loaded in precise orientations use pallet conveyors with modular changeover tooling. 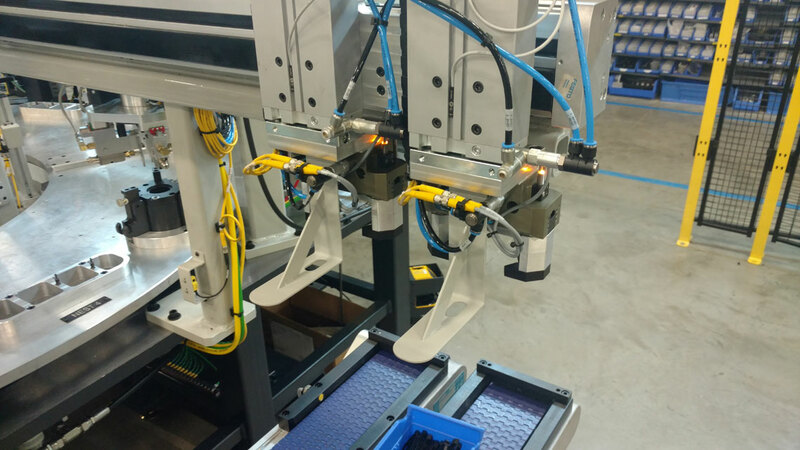 Pneumatic transfers are frequently used to introduce components into assembly stations such as a press operation. Machines with bulk fed components typically integrate a vibratory or step feeder. In processes requiring several precision operations in a dense location will incorporate a dial table to rapidly progress workpieces through each station. We can cater to the your production workflow needs to achieve consistent product quality. 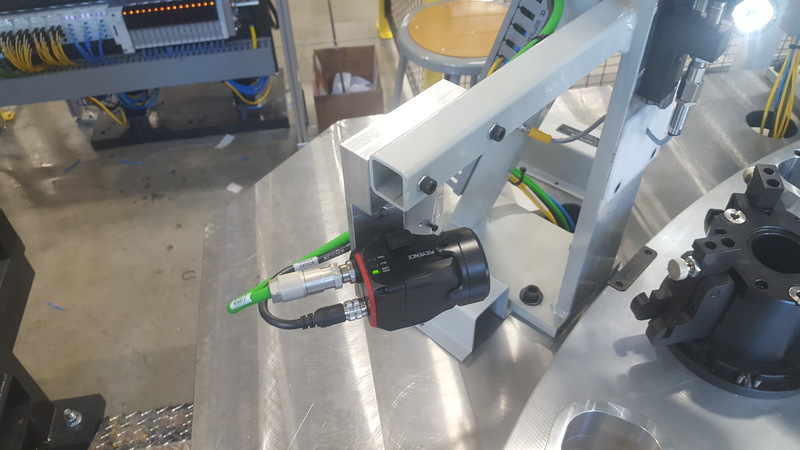 Our automation can perform component verification at infeed, in-process, and at outfeed to catch flaws before further processing saving you time and money. Please do not hesitate to contact us for how ESE can provide automation for your application.